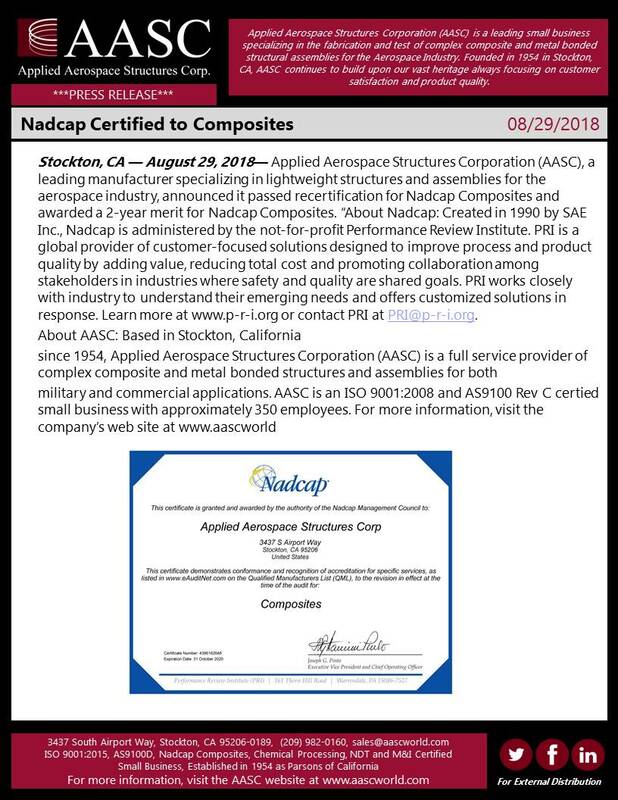 Stockton, CA — August 29, 2018— Applied Aerospace Structures Corporation (AASC), a leading manufacturer specializing in lightweight structures and assemblies for the aerospace industry, announced it passed recertification for Nadcap Composites and awarded a 2-year merit for Nadcap Composites. 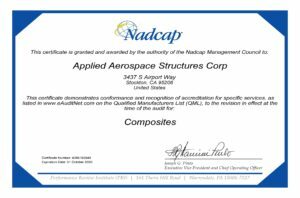 About Nadcap: Created in 1990 by SAE Inc., Nadcap is administered by the not-for-profit Performance Review Institute. PRI is a global provider of customer-focused solutions designed to improve process and product quality by adding value, reducing total cost and promoting collaboration among stakeholders in industries where safety and quality are shared goals. PRI works closely with industry to understand their emerging needs and offers customized solutions in response. Learn more at www.p-r-i.org or contact PRI at PRI@p-r-i.org.